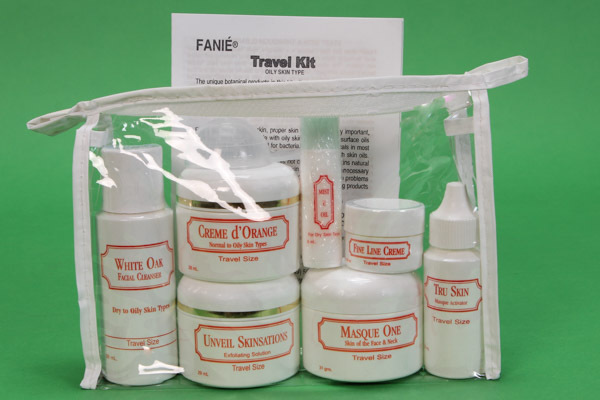 FANIE's newest masque, developed in response to customer requests. 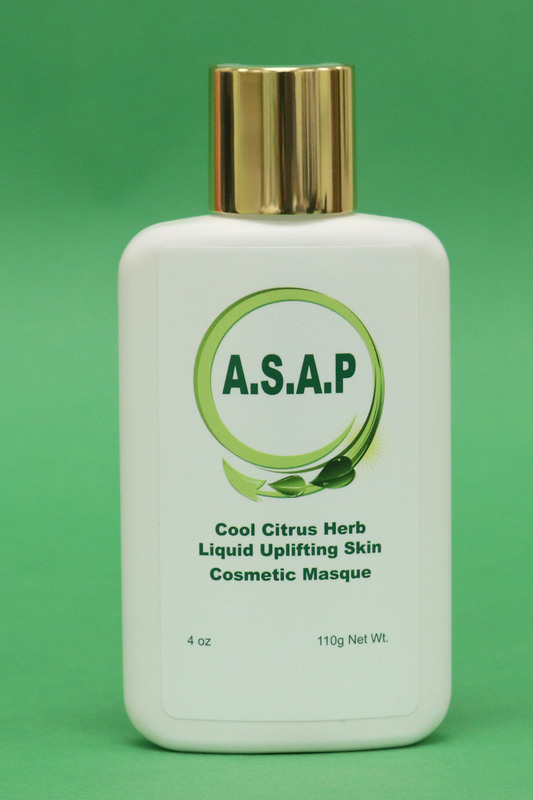 FANIE reintroduces a liquid enzyme masque with a cool citrus herb enzyme skin lifting and more. 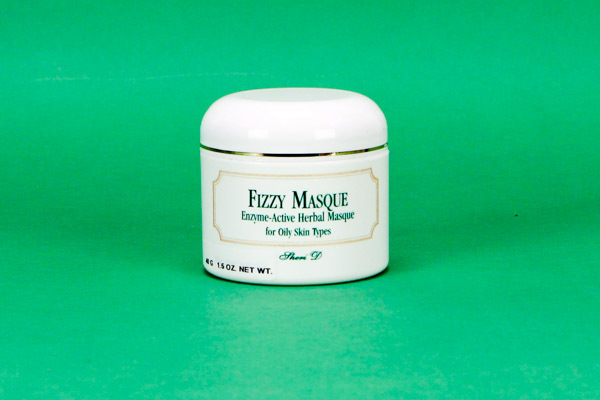 This masque can be applied with your fingertips over pre-cleansed skin, using the FANIE SWEET APPLE FOAMING BOTANICAL CLEANSER. 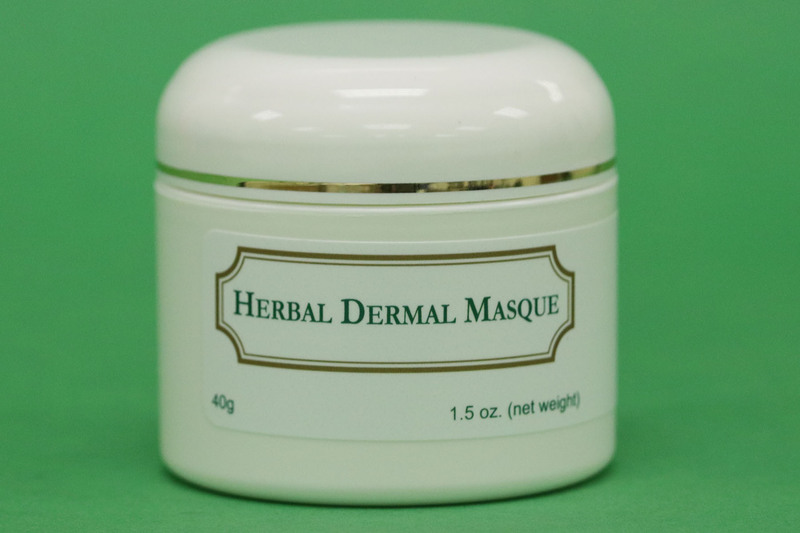 Let this unique warming skin masque work for 15 minutes, and then flush off with warm water. 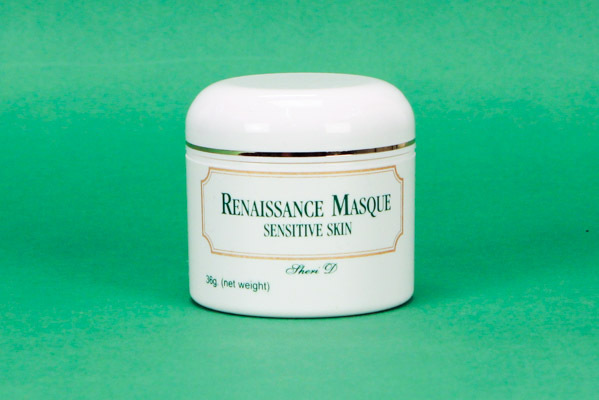 This unique botanical skin masque when used in concert, with the FANIE products, will also help aging skin conditions. For health and beauty below the neck. 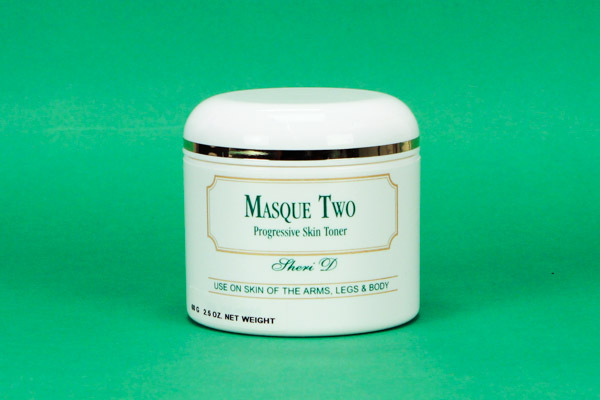 MASQUE TWO helps firm skin on breasts, buttocks, stomach, thighs, upper arms, shoulders, back, even legs and feet. Rich in proteins and natural enzymes, it's the total body solution to more youthful skin. See and feel the difference. On-the-go beauty for round-the-clock skin care. 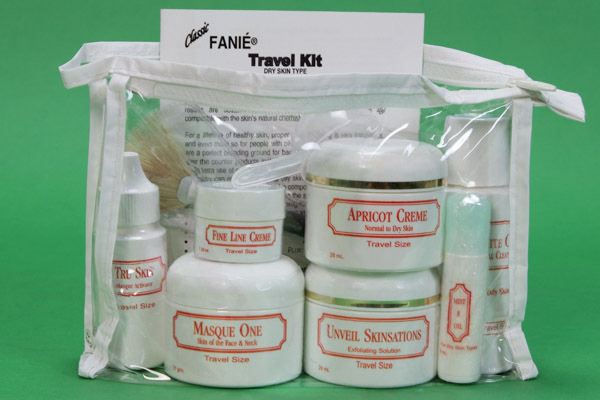 The sturdy plastic travel bag holds seven basic FANIE skin care products plus a facial brush, cup, spatula and directions. Products include: White Oak Cleanser (2 oz. ), Enzyme Masque One (1.3 oz net wt), Tru-Skin (1 fl oz), Unveil Skinsation (1 fl oz), Apricot Creme (1 fl oz) or Creme D'Orange (1 fl oz) (Apricot w/dry, Orange w/oily), Fine Line Creme (1/4 fl oz), Mist E Oil (1/4 fl oz). Fits easily in work-out bag or suitcase. Don't leave home without it.